I just wanted to say that I feel much better about people right now. First, there was the comment from Jacquie on my previous post (sorry I'm just replying now!). That was just so dang sweet of you to offer to send the boys something - it doesn't matter where the package comes from, it's just fun to receive something of your very own when you're a kid (maybe I should arrange my own swap - with just two partners, ha! I couldn't have you send anything without sending something in return). And then today, the boys got a package from my sister, which was totally unexpected but hey, sometimes she's like that. They were so excited. 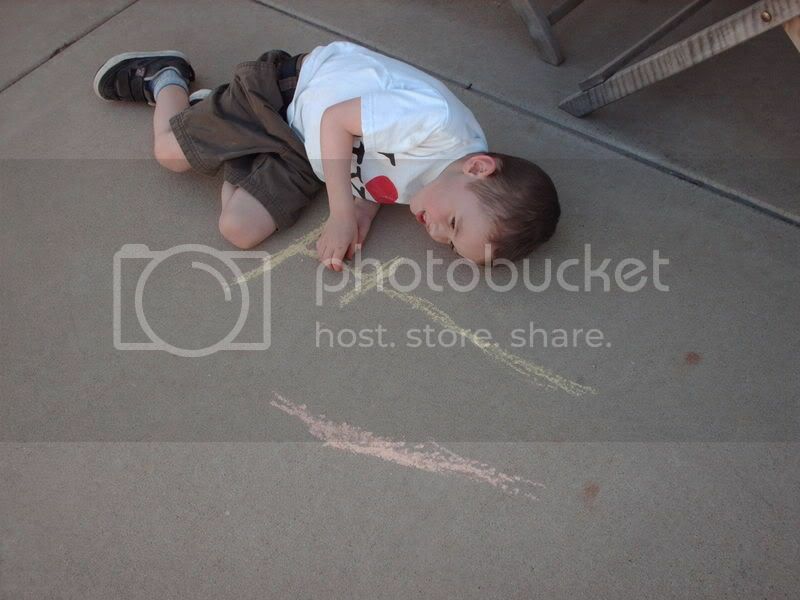 When I told Benson it was for him and Jack, he said, "Really? We never get mail!" Aw. My sister also sent this to me. That's right, I'm 30 (although I don't look a day over 35). 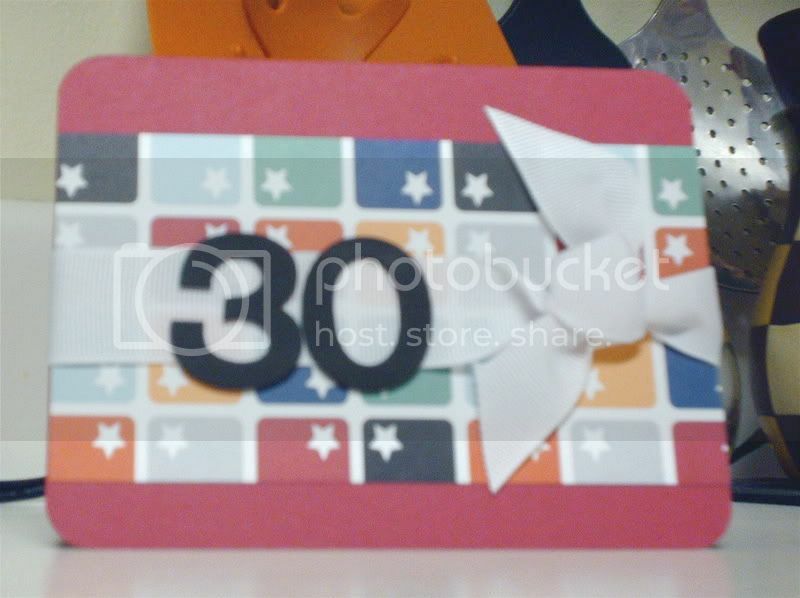 My birthday was Saturday and she sent me an eCard then, but a birthday isn't a birthday without one of her handmade cards. 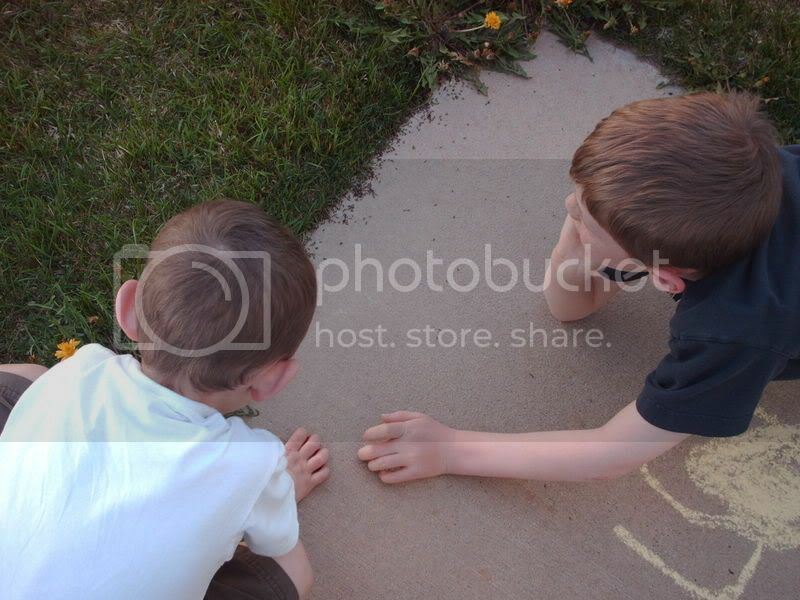 The boys' package had bouncy balls and sidewalk chalk, which they put to immediate use. 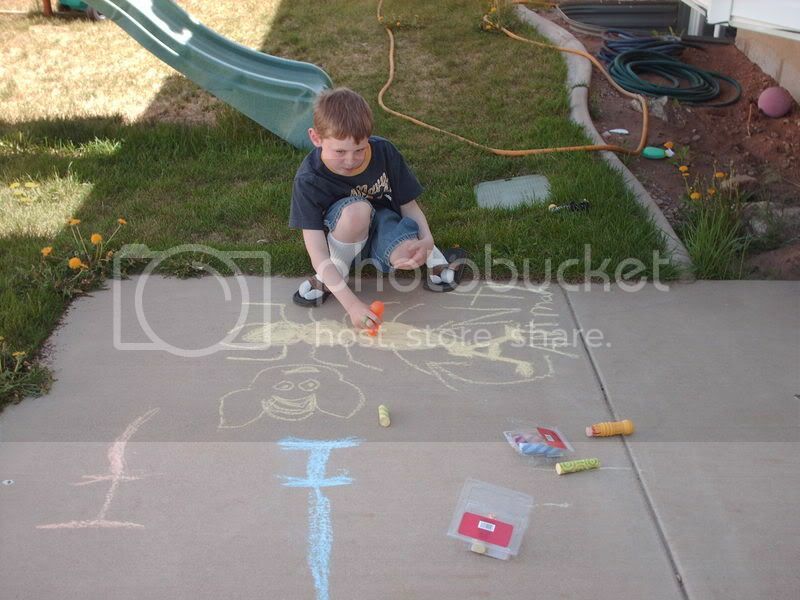 Jack is just fine, he's just demonstrating the proper use of a chalk drawing light saber. Benson drew a Yoda head and a lovely, um, bug. Apparently it's time to get out the ant traps. How fun. Your boys are sooooo talented! I love it! Glad they like their goodies. Mail is fun at any age! I'm so glad you're feeling a bit better about the bloggy world. Love to see the boys enjoying their goodies. 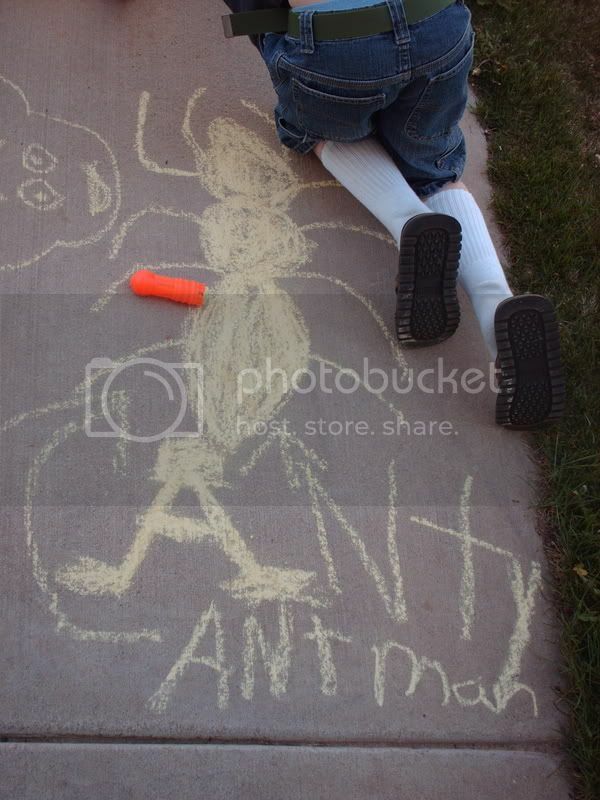 Ants...reminds me of my boys when they were young. All sorts of icky things.